CloudFormation stacks are very nice for setting up complete server environments. But, there are a few problems. Keeping all resources in one stack may not be possible since some resources, such as Kineses, may be needed by multiple stacks. If your stack depends on external resources you have to maintain these resources separately and send them as parameters when creating new stacks. If you have multiple accounts or environments you have to maintain one configuration for each. Using Custom Resources to extend the native functionality of CloudFormation solves these problems. At Sony Mobile in Lund we make heavy use of Lambda-backed Custom Resources. We use them for depending on other stacks, getting info about VPC, Route53, certificates and AMIs. We also have a resource for getting Elasticache endpoints to our Redis services since CloudFormation does not provide it. RequestType - can have the values Create, Update and Delete. ResponseURL - the URL to PUT the response to. ResourceProperties - the properties sent by the configuration in the CloudFormation resource declaration. You can ignore the ServiceToken, it is used internally by CloudFormation to find your function. DomainName is interesting since it contains the name of the domain we want to lookup. Route53 - the name of the resource inside the template. Type - The Custom:: part of the type identifies this as a Custom Resource, the rest, Route53Dependency, is documentation. DomainName - is a custom parameter which we will read from the event and use to lookup the domain in Route53. A Custom Resource Lambda can be split into three major parts. The handler handles the event and invokes the domain specific function. The domain specific function calls the AWS function and gets the requested information. The handler and response code is almost the same for all our Custom Resources. The handler starts by logging the event, nice to have for debugging. It ignores Delete-events since our resources are not creating anything, only looking things up. It then invokes the domain function with event.ResourceProperties, checks the result and uses sendResponse to send the reply. 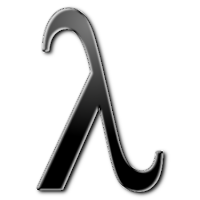 Lambda functions have to be invoked as properties, in this case handler. I usually set the handler as a property on the domain function. This is just my preference, it is not required. The domain function starts out with checking for required properties and calls the callback with an error in case they are not valid or available. We require the SDK and invoke listHostedZones, check that exactly one domain matches and return the object after cleaning it up. Custom Resources only supports returning string values and if you try to return objects such as Config above. In this case we don&apos;t care about this value and just delete it. Status - signals SUCCESS of FAILED. Reason - information about the request, such as where to find the log or the error if one occurred. Data - is the data provided by our domain function. We don&apos;t have to care about the rest of the parameters since we can just echo back the parameters which were passed to us in the request. We start out by creating the response object by using the values from the request and our values for status, data and err. 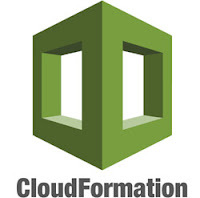 We parse the ResponseURL and send the request with https.request back to CloudFormation. To use the properties in a CloudFormation template, we use the built-in Fn::GetAtt function. We have implemented the following Custom Resources. When CloudFormation creates a Redis-backed Elasticache Cluster it does not provide the endpoints to the stack. This forces us to write logic in the client to look up the endpoints or to look them up manually and provide them as configuration. elasticacheDependency gets information about Elasticache clusters including endpoints. imageDependency looks up information about an AMI by name. It is much easier to read an image name instead of an AMI ID. route53Dependency looks up information about hosted zone by domain name. Again, nicer to have than a cryptic zone id. vpcDependency looks up information about a VPC by name including ID and subnet information. certificateDependency looks up a certificate by name. stackDependency looks up the outputs from another stack by name. It provides the outputs as variables to the resources and also includes an extra property called Environment. All our custom resources are open sourced and can be accessed at the Sony Experia Dev Github account. create-role.sh - creates the necessary roles for using the Lambda. deploy-lambda.sh - creates or updates the Lambda as needed. invoke-lambda.sh - invokes the lambda from the command line. invoke-test-stack.sh - creates or deletes a test-stack showing how to use the function with CloudFormation. 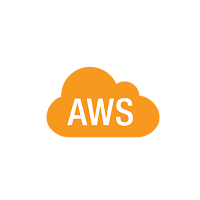 CloudFormation extended with Custom Resources is a powerful tool that enables us to setup almost all our AWS resources. Currently we are not deploying our Lambdas via CloudFormation but we are working on it. Stay tuned!